Friday night Joshua, Dani, and I saw Inside Out. It was really cute (so was the short film Lava), and I hope with the way they left it open they will do a sequel. It wasn’t my favorite Pixar film (WALL•E and Finding Nemo will forever be my favorites), but I did enjoy it a lot more than several others. On 4th of July I spent the day relaxing since I was still getting over my cold from the previous week. We watched Independence Day, and later in the afternoon I went to a BBQ at my friend’s house with Dani and Joshua. After the BBQ we watched the fireworks from the fairgrounds. Sunday I went on the First Sunday Drive with the Mercedes-Benz Club of America, Sacramento Section. I haven’t been on a First Sundar Drive since Joshua and I live in the bay area, so it was nice to go on one again. 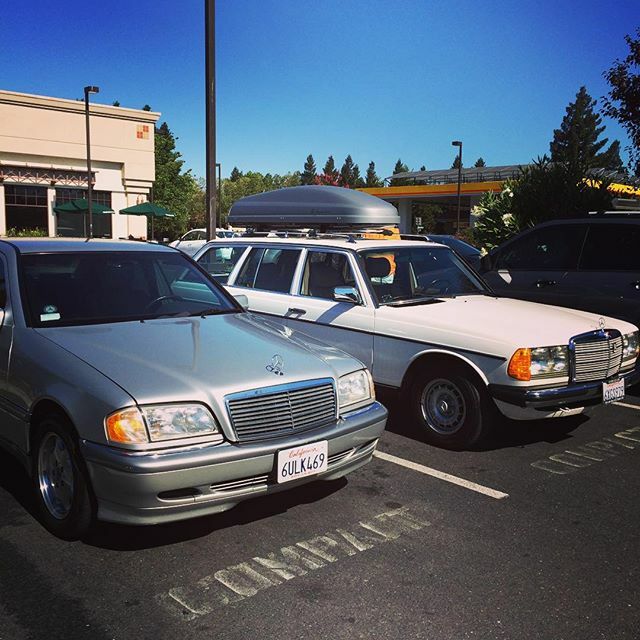 Joshua’s dad brought his Benz along too, and even Dani came with us, both of whom have never been on a Sunday drive.. The drive started at the Starbucks by my old college and ended up in Auburn. Next month I’m thinking I’ll bring my “Lady Benz” along. Dani introduced me to a yoga studio right down the street from my house, so on Thursday I tried out one of their classes. It’s called “Rise with the Sun” where we did sun salutations with the class starting at 6am. It was really nice to start my day my day like that, and since the studio is so close to my house I plan on working some additional classes into my schedule. Work was pretty good this week. I got to work on a couple different things, and I will be getting to start on wireframing for a new web project. I also got to have my very first session with our business coach. Once a month we have a business coach that comes in and talks to us one-on-one. She helps us set goals and is there to talk about any grievances we may have. She also acts as a mediator between the team and our boss, and will talk to him if there are any trends he needs to be aware of (everything is kept confidential). For my first session we mostly discussed my DiSC profile and how that applies to me in the workplace. Plus she got to know more about me and how I deal with stress and what I need in a workplace. It’s so refreshing to be in a place that cares about my success and gives me the tools/people to do so. I’m really blessed. Not a whole lot happened with the blog this week. I spent most of my time looking at inspiration as I move forward with the design, and by stumbling upon some new blogs I came up with some ideas for additional content/pages.